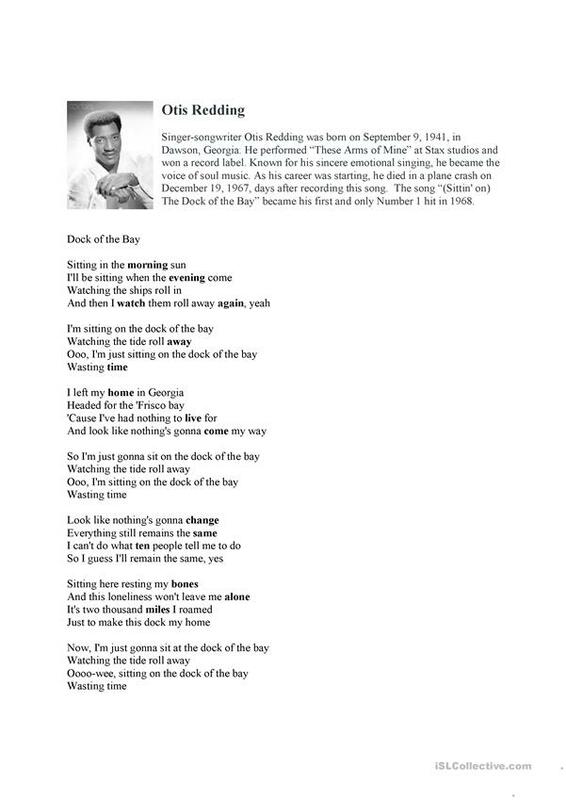 This is a gapfill of the song "Dock of the Bay by Otis Redding along with a brief bio of the singer. 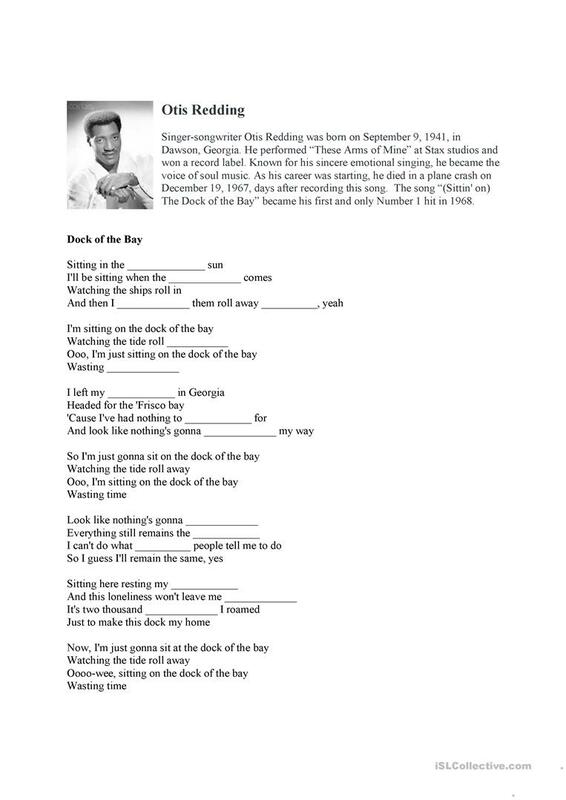 The present downloadable teaching material is intended for high school students, elementary school students and adults at Elementary (A1), Pre-intermediate (A2) and Intermediate (B1) level. It is a valuable material for strengthening your groups' Listening skills.